After disassembly of the D7, the next step was (or is?) to rebuild the D7 into a D7IR: An IR-seeing, 5MP, 28mm wideangle camera. Yes, the D7 is already able to take IR shots, but it is not perfect, the shutter speeds are very slow and you'll almost always will need a tripod, even on the wide end of the zoom range. Enough reasons for me to try this mod with the slightly defect camera I was given to by Bart (thanks again!). Now, the IR cut filter of the D7. 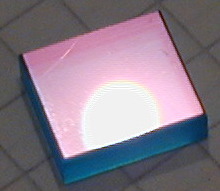 Note the various layers in this block of glass! And the also look similar in IR: 715nm filter in front of my 2040IR. Left one overexposed to have another variation. 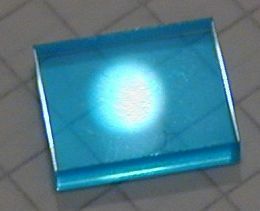 but I think it is some kind of optical coating to prevent reflections onto the chip. 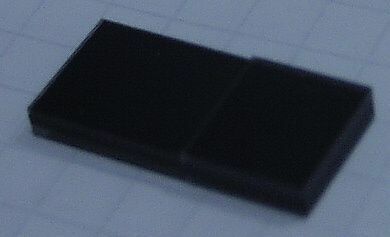 Or it might be that this is the hot-mirror coating and the internal cut filter of the Olympus does not only work by extinction but also by reflection. The D7 filter shows no difference between the two sides. Now, what is the difference in IR? (715nm in front of my 2040IR)? 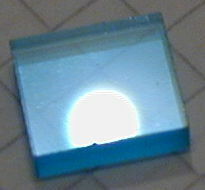 Once again, highly reflective on one side for the 2040 filter. and identical reflections for the D7 filter. 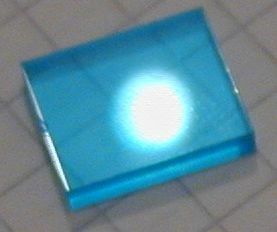 For my first try, I used the same thickness of glass like I did for the 2040IR conversion. This glass was too thick and the camera was near sighted. I had expected that it would become far-sighted. 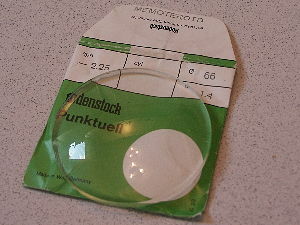 But obviously, the glass was so thick (2.65mm instead of 2.475mm), that the CCD would be too far back. Therefore, the camera was extremly near-sighted. Infinity was about 40cm away! I now found a company dealing with manufacturing of glass apparatus. 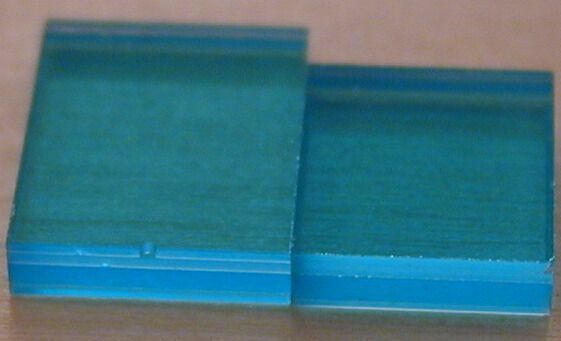 They had slightly thinner (2.1mm instead of the correct 2.475mm) glass available. 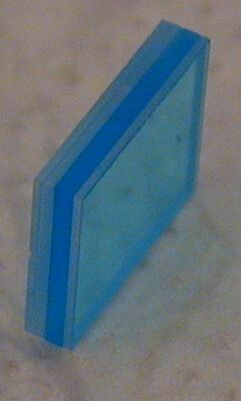 Pleae note: When talking about correct thickness, I am assuming that the types of glass have identical refractive indexes. 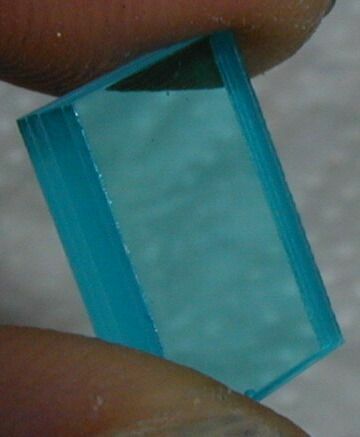 That is not totally true, but I think that they do not differ too much, because it is all optical glass and no special crystal glass or the like. The company would probably have just given it to me, had I asked nicely. But they only had one, so if I would mess it up, I'd be left alone. So I gave them the order to cut the glass. They did that very well indeed. It cost 25 Euros, by the way. So, with the new glass, I once again disassembled my D7, installed the new filter and shot a few test pictures. 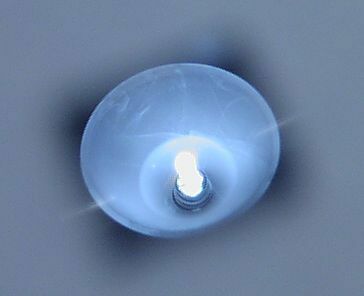 However, even with the internal IR cut-filter removed, the hot spot of the D7 remains. 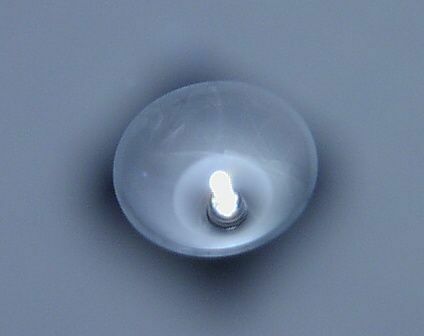 I did a bit of research and found out thanks to Jeremy's IR page which lists experiences by Chris Miekus with his D30, that it is fairly common for high-quality zoom lenses to have special anti-reflective coating to improve perfomance in visible light. Apparently, these coatings are a problem in IR light. I personally presume that the coating does NOT immediately turn from a positive effect to a negative one. It is more probable that there is a transition - the longer the wavelength, the more disturbing is the coating. 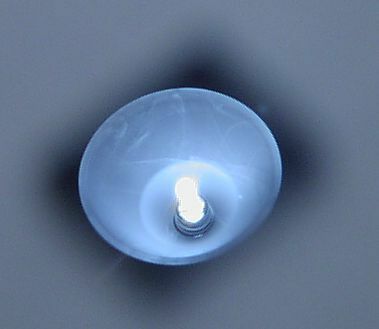 A more restrictive internal IR cut-filter lets less IR light pass. I've created the following spectral sensitivity chart. 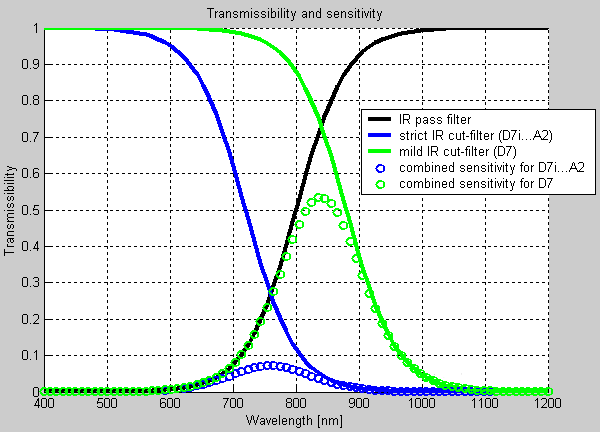 To get the combined transmissibility of two filters, you have to multiply the two transmissibility functions for each wavelength. Please be aware that this is just to give an idea. The real filters look different, but the overall relations are as shown. 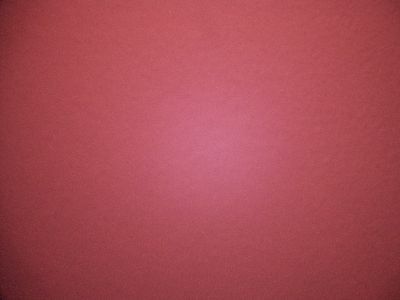 Furthermore, it would be necessary to include the spectral sensitivity of the CCD itself and the Bayer Filter as well. But as I do not have any data for Bayer colour-filter arrays beyond 750nm/800nm, this was not possible. As you can see, the main sensitivity with a mild filter is reached at longer wavelengths and is higher than with a strict filter. 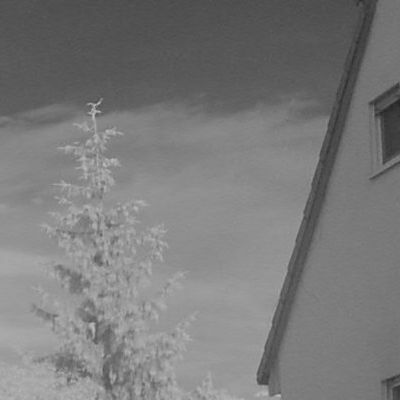 The results are long exposure times when shooting IR with a stronger internal IR cut-filter. Why does my modified camera still have the bright centre spot? Well, the glass I use to replace the internal IR cut-filter lets pass everything, so the combined sensitivity looks just like the black curve of the IR-pass filter in my diagramme: Both the shorter IR (no problems) and the long ones (creating the hotspot) are transmitted. What I can't explain neither with my diagramme nor anyway else is why the Minolta cameras with a stronger internal IR cut-filter show more of a hot spot. Their sensitivity is lower, but the percentage of "good" IR light should be higher. I went to my local optician (optometrist) and to be honest, I didn't have much hope. But I was in for a surprise. The nice sales-lady was at first a bit puzzled when I said that I need glasses for my short-sighted camera ;) As it turned out, they were very willing to sell me any type of Rodenstock glasses. Well, quality and price of German optical instruments are legendary. I was very happy to find out that a diameter 66mm lens in -2.25 would only set me back around 16 Euros. This is for the uncoated version. There are versions with simple and double anti-reflective coating. The version with double anti-reflective coating costs 38 Euros - without any screw mount, of course. The glasses can be easily ground to whatever diameter (in fact, whatever shape) you want. Please note that these lenses are (to me knowledge) not apochromatic. Depending on your needs, you'll have several options now. You can buy a positive dioptre (close-up) lens, disassemble the screw mount and assemble it again with the negative dioptre lens. I'll try to purchase an empty mount from a filter manufacturer. If you are after a quick'n'dirty way, you can glue/clamp the lens onto the filter thread of the D7 or -a bit more sophisticated- the lens hood. When you are shopping for a lens, take your camera with you and several focus tests. I noticed that the most problems would occur with the Minolta at wide angle. At telephoto, the camera would appear much less near-sighted. 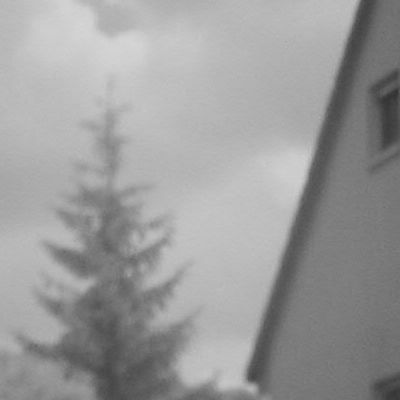 I am still experimenting, but with a -2.25 lens, the camera works in IR but not in visible light. 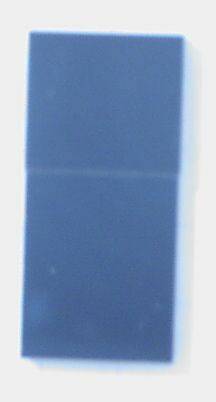 This is a 1:1 crop from my D7IR without a corrective lens. 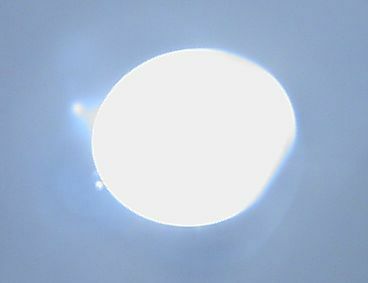 This is a 1:1 crop from my D7IR with a -2.25 corrective lens. At the moment there are still problems, so I cannot totally recommend this conversion. I'll keep my eye open for a replacement glass that will enable IR photography without a corrective lens and then I'll try to find a corrective lens for visible light. Please note that my main goal is IR photography, because I also have an unmodified D7.